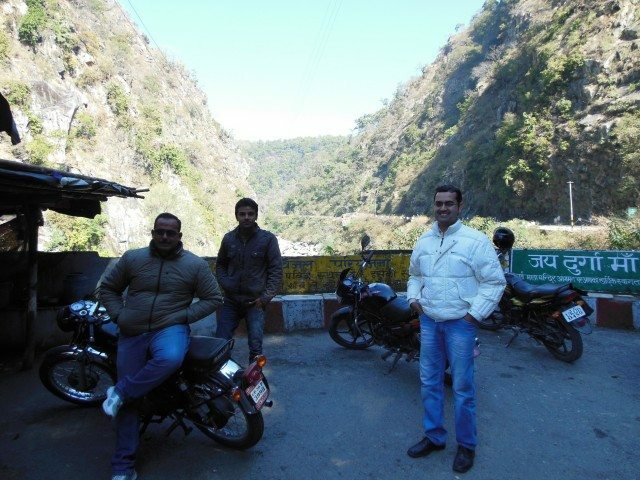 Byke trip to Tarkeshwar Mahadev Temple - Ghumakkar - Inspiring travel experiences. I was dieing to be in hills. Then came an umeed ki kiran…my cousin’s wedding on Friday, February 8, which I had to attend at a village near Kotdwar. 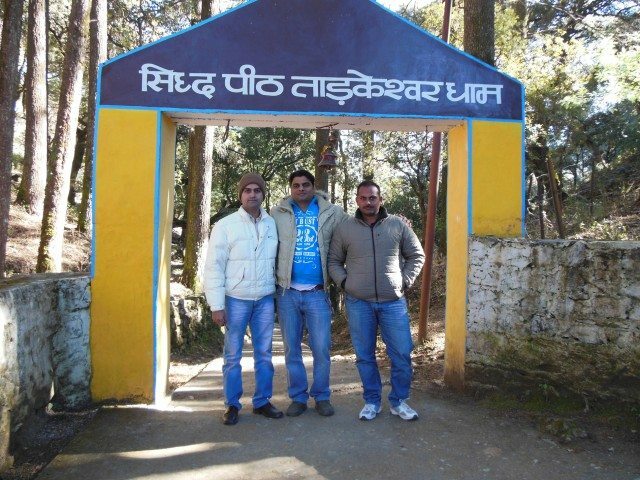 I made plan to visit Tarkeshwar Mahadev Mandir with one of my cousin’s husband, a very nice guy named Dilip. I call him Dilip ji or Sir. So Feb 9 was fixed. As we planned, I reached Dilip ji’s home in Bijnaur by 5 PM on 8th Feb after attending a ceremony for same marriage in Ghaziabad. At day’s end, we attended marriage, discussed our next day and went to sleep. 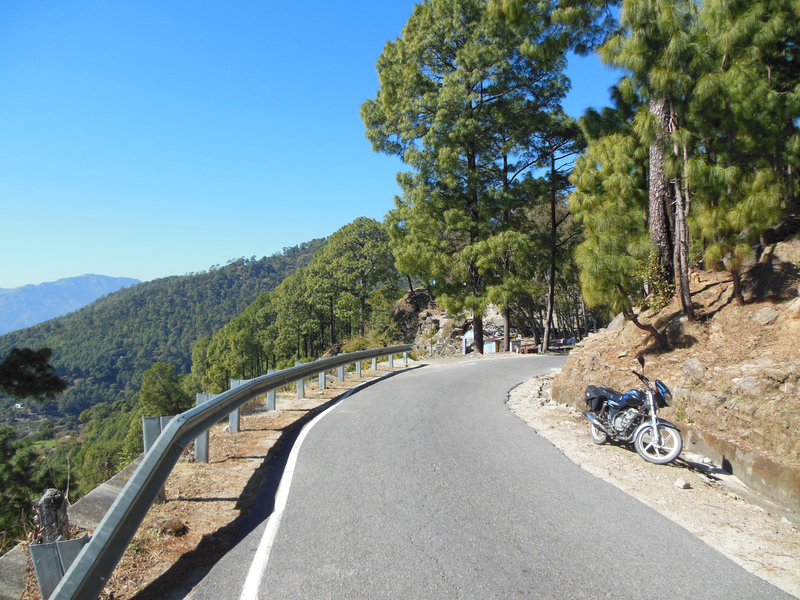 Next morning after daily routine we left Bijnaur for Kotdwar on Bajaj Discover bike. In Najibabad my brother-in-law with one of his friend joined us on his Bullet. We had our breakfast at Najibabad and reached Kotdwar by 11:30 AM, which was little late. 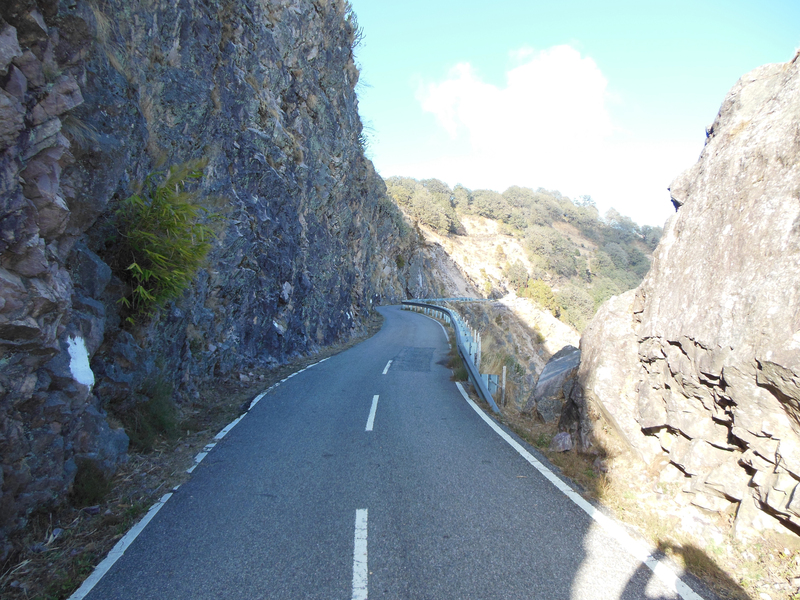 Roads were traffic free and soon we crossed Sidhbali Mandir and Durga Devi Mandir. Durga Devi Temple at Dugadda. My companions on this trip. We were flying in hills. (In car we transpose, but on bike we fly). So we were flying on our bikes, making videos of the route to capture memories, clicking stills to pose with hills in background. 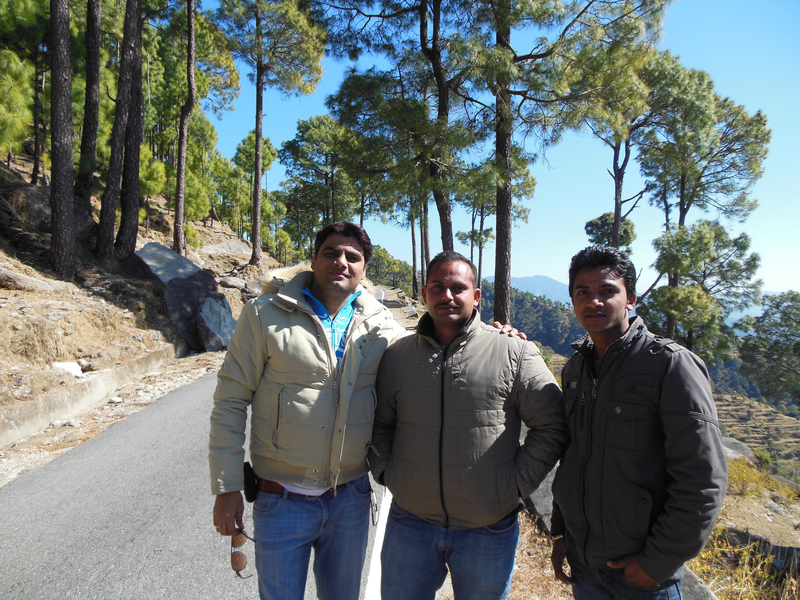 Me with my brother-in-law and his friend. Beautiful scenic hills. Don’t let me go from here. Soon we had first glimpse of snowcapped mountains. It was clear sky. Snowcapped mountains are visible now. 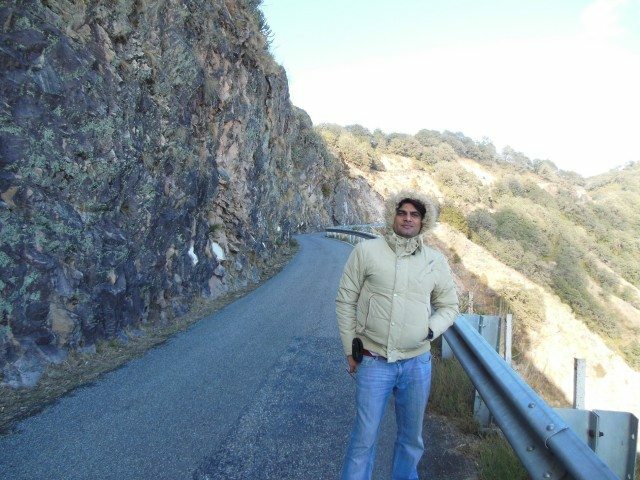 I think, it took good three and half hours to reach Tarkeshwar Mahadev. HAR HAR MAHADEV. 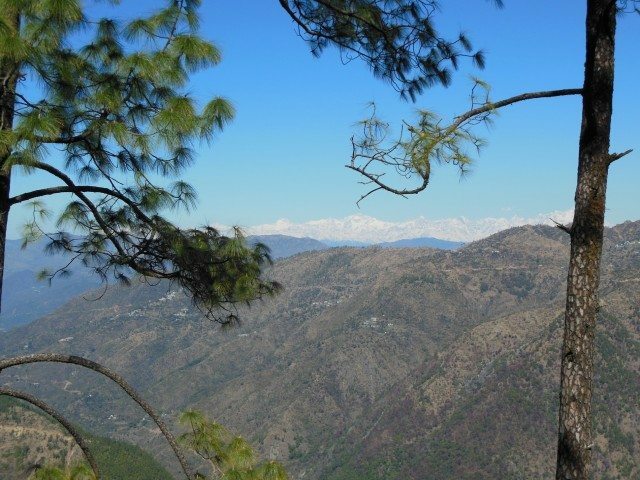 Tarakeshwar is located in the Bichla Badalpur Patti of Rikhnikhal Block of District Pauri Garhwal, Uttarakhand, and is about 36 km from Lansdowne. 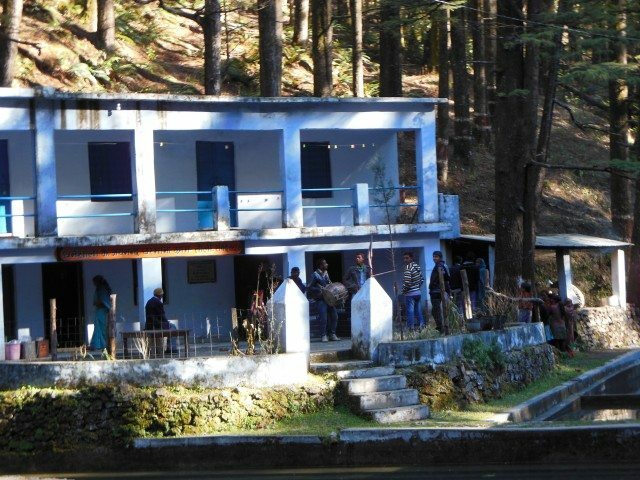 It is the abode of an ancient Shiva Temple which is the presiding deity of not only the Garhwal Rifles but also of 84 villages around it. 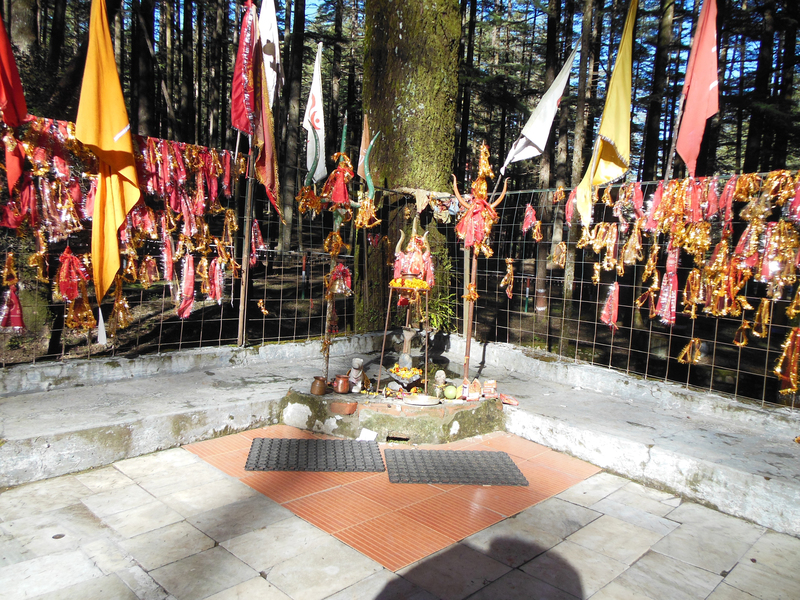 Its mythological importance lies because it is believed that Goddess Parvati prayed in Tarakeshwar to get Lord Shiva. It is in the foot hills of the Himalyas and is about 5 kilometers aerial distance from the boundry of Jim Corbett National Park. Way downwards to Temple area. There is a meditation centre and the two dharmshalas. About 30 persons can be accommodated in the two dharmshalas and the meditation centre. There is an open swimming pool where devotees can take a bath before visiting the temple. For ladies there is another pool which is covered so that they may bathe in some privacy. Apart from these two pools there are two other smaller open pools which are located in front of the dharmshala. 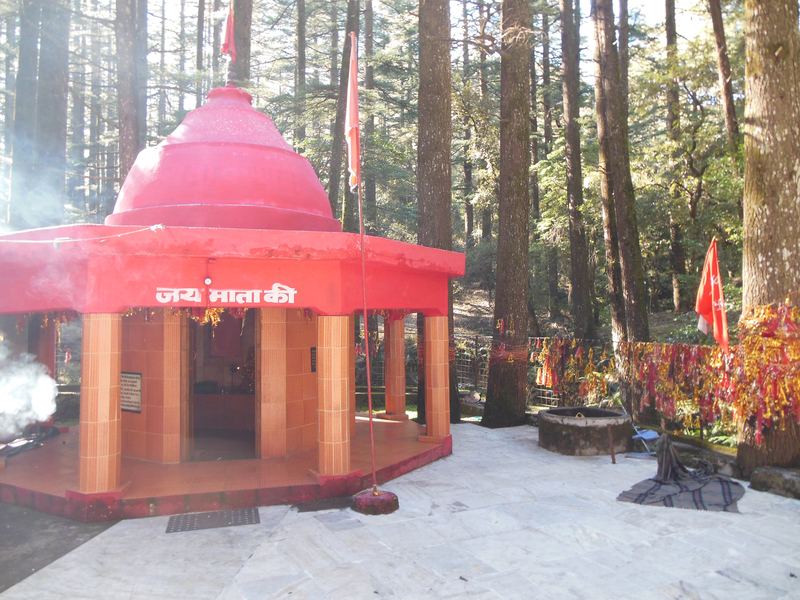 There is another ‘kund’ which is now covered from where devotees can take water for offering in the Tarakeshwar Mahadev temple. The water from this ‘kund’ is used for drinking and cooking purpose also. There is provision for heating water in the stove which can be used for bathing. Since there are no shops in Tarakeshwar it is recommended that people should take some provisions from Kotdwar like flour, dals, vegetables and cooking oil while going there. 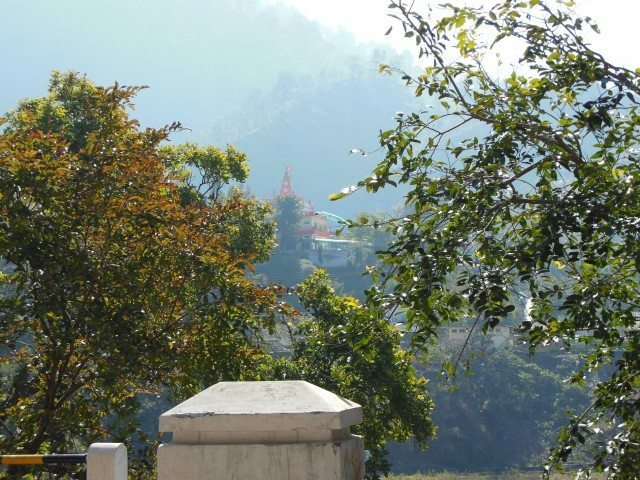 It is recommended that if you stay in the dharmshala you should pay a nominal amount for upkeep which can be kept in the donation box of the dharmshala. 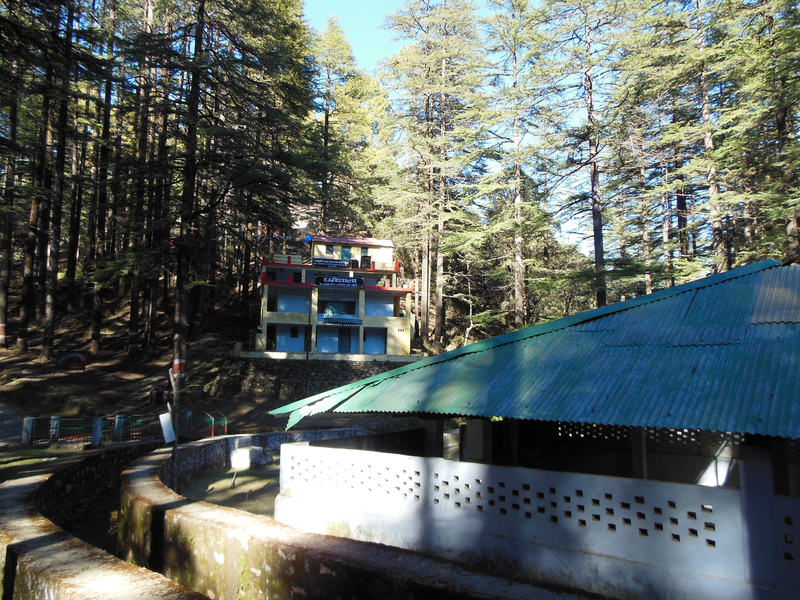 The management of the dharmshala and the meditation centre are not in the hands of the Temple Committee which has been formed to collect all the offerings in the temple and utilise the money for the welfare of the people who visit the place. 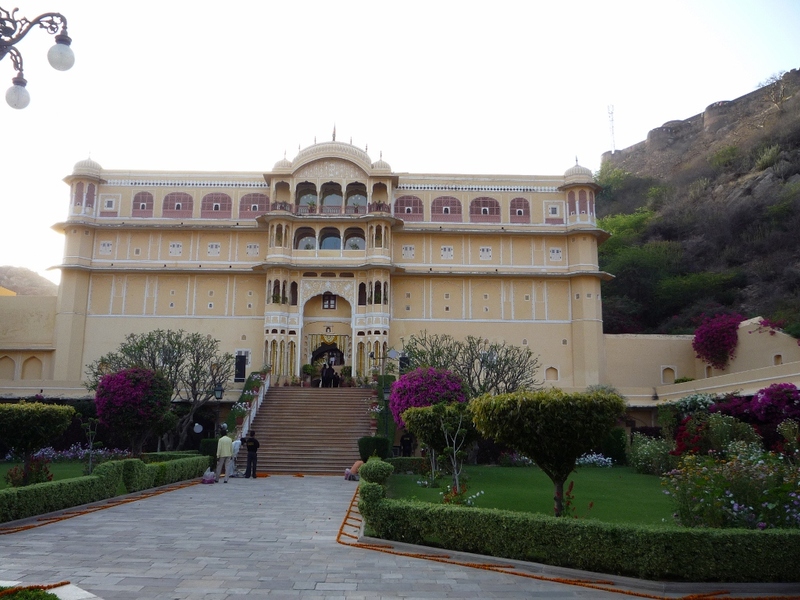 There is no system of advance booking the rooms because as a tradition everyone is accommodated to stay for the night and share the facilities in the dharmshalas. In severe cold conditions the dharmshalas provide stoves for burning wood to warm the rooms. People can collect pine cones for burning in the stoves. The pine cones are found in plenty above the dharmshalas. The workers also provide wood for burning. Bells are offered at the Tarakeshwar Mahadev Temple. 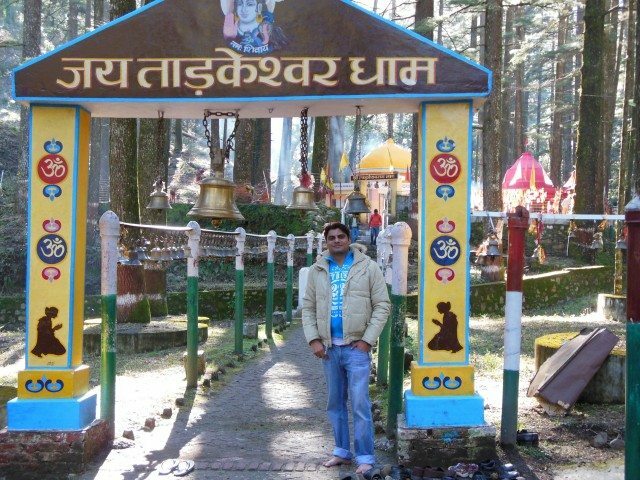 The devotees especially those who stay away on fulfilment of a prayer or after pious occasions like marriages or the birth of a child come to Tarakeshwar and offer a bell at the temple. These bells are stored in the temple premises and when their number becomes sizeable they are hung outside on the pathways to the temple. Bells are everywhere in temple. There is another story about Tarkeshwar mahadev Temple, according to folklore after killing the demon Tarakasoor, Lord Shiva and Goddess Parvati came to Tarakeshwar to take rest. Since the sun was shining on Lord Shiva, Goddess Parvati transformed herself into seven Deodar trees to provide shade to Lord Shiva. These seven trees are situated in the Temple complex. All the other deodar trees have originated from these seven trees. 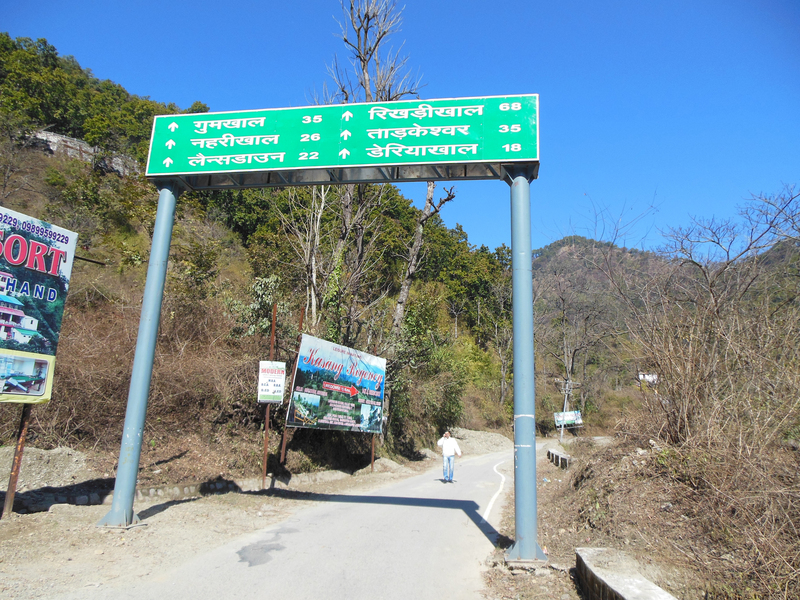 The whole area is now therefore called Tarakeshwar. A visit to the temple is a must. It is said that the Shiva Lingam started sinking when the temple was being constructed. Shiva Lingam is located at the spot below the image of the deity where the water offered by the devotees goes. It is now not accessible to people. 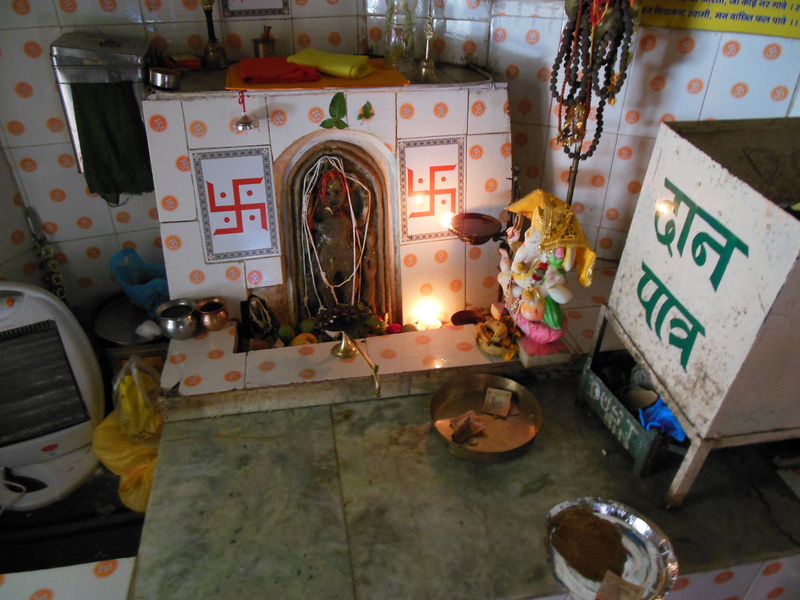 A few years back a temple dedicated to the Goddess Shakti was also built adjacent to the old Tarakeshwar Mahadev temple. 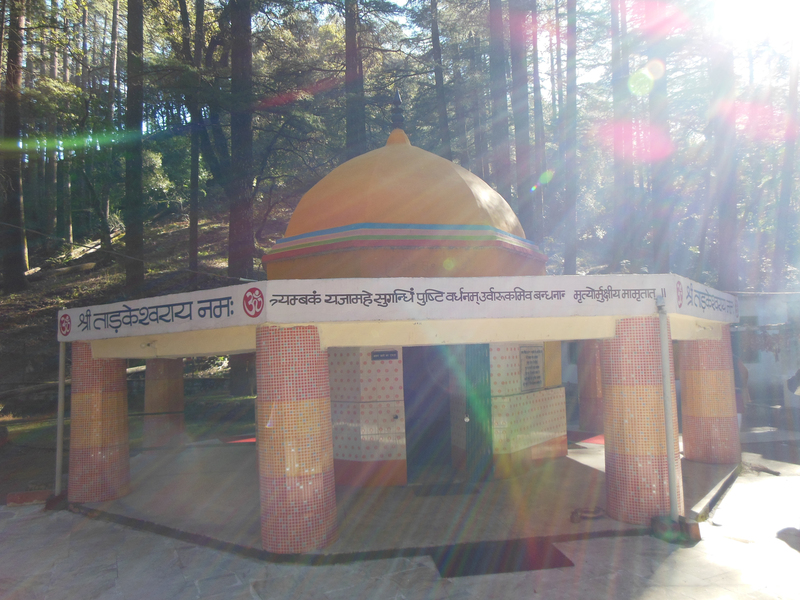 Also nearby is the ‘havan kund’ which is used by some devotees who do special prayers. We were lucky on that day, thats why we could attend hawan and Shiv Aarti, which was going on there by some local devotees. Karpoor gaurav karunavtaram sansar saaram bhujgendra haaram, Sadavasantam hridyarvideh bhavanbhavami sahitam namami. 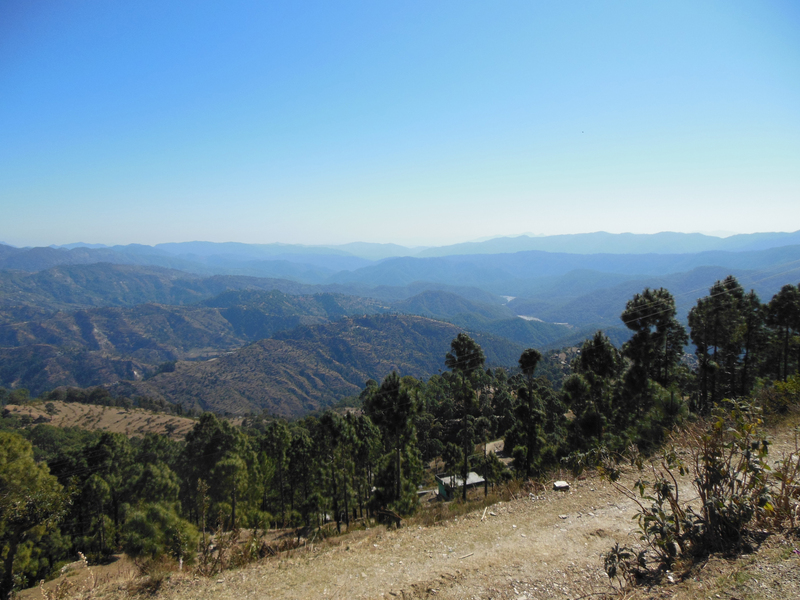 TARAKESHWAR has a unique micro-environment unparallel and unfound anywhere else. 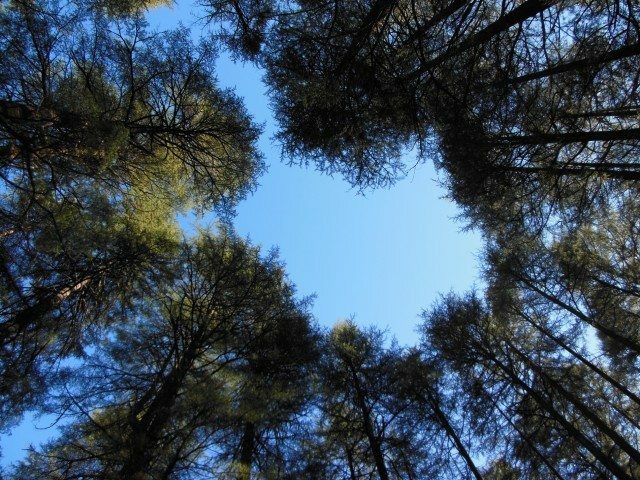 Its uniqueness lies in the fact that there is a dense Deodar tree grove located at about 4500 feet above sea level in Tarakeshwar. 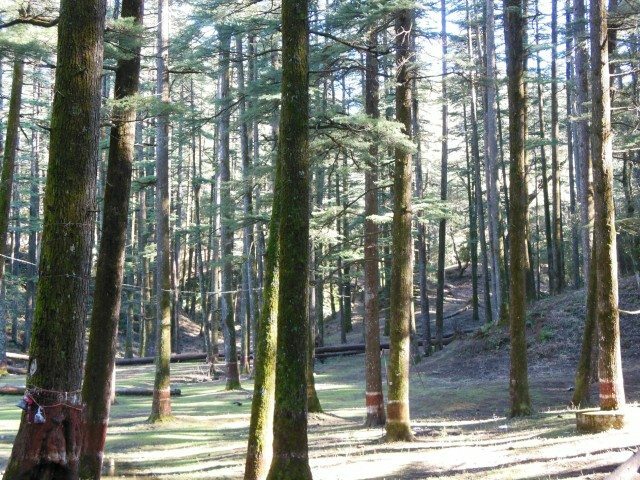 The Deodar tree grove is surrounded by Chir Pine and Oak trees. Deodar trees grove is located at an altitude lower than that of the Chir Pine and Oak trees. 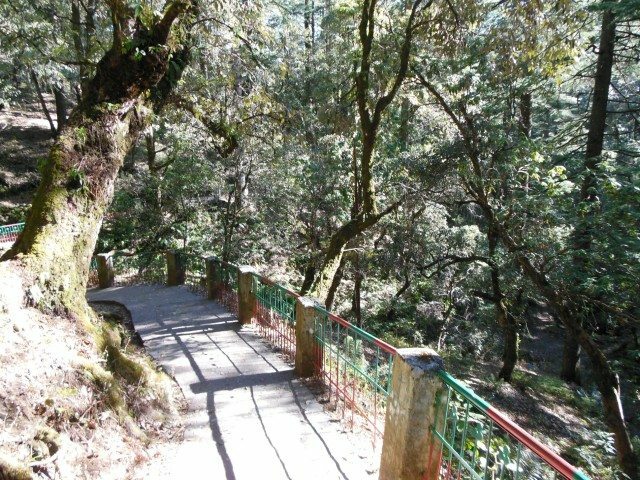 Even from the scenic point of view the Deodar grove in Tarakeshwar, surrounded by tall cliffs on all sides which are covered by dense forests and with small water bodies in the centre, is a paradise on earth. 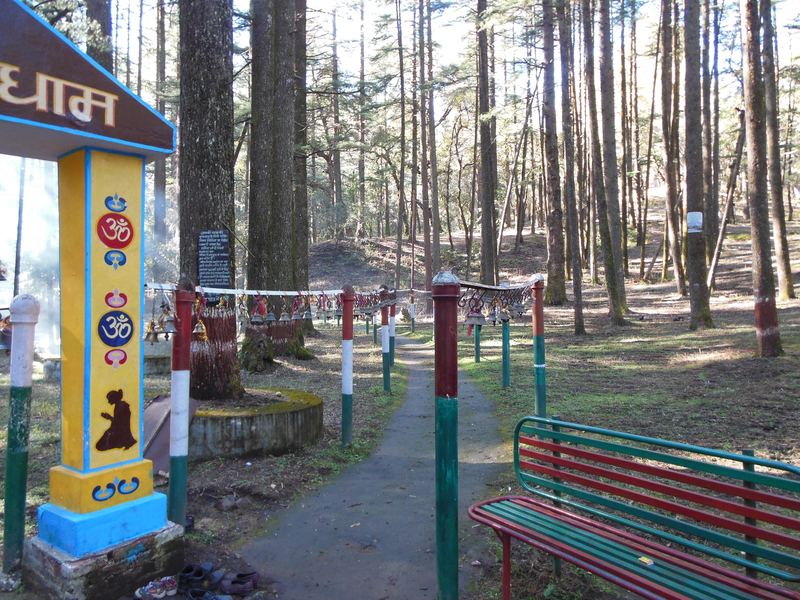 I read somewhere that the shape of the deodar grove in Tarakeshwar is that of the Hindi letter ‘Aum’. The serenity and tranquility of the deodar grove is an excellent place to unwind and meditate. There are twenty micro and mini-micro watersheds in Tarakeshwar. Because of this reason the stream which flows out of Tarakeshwar is called the ‘Bees Ganga’. ‘Bees’ in Hindi means twenty. The Bees Ganga is a perennial stream and even in the severest drought it has never dried. 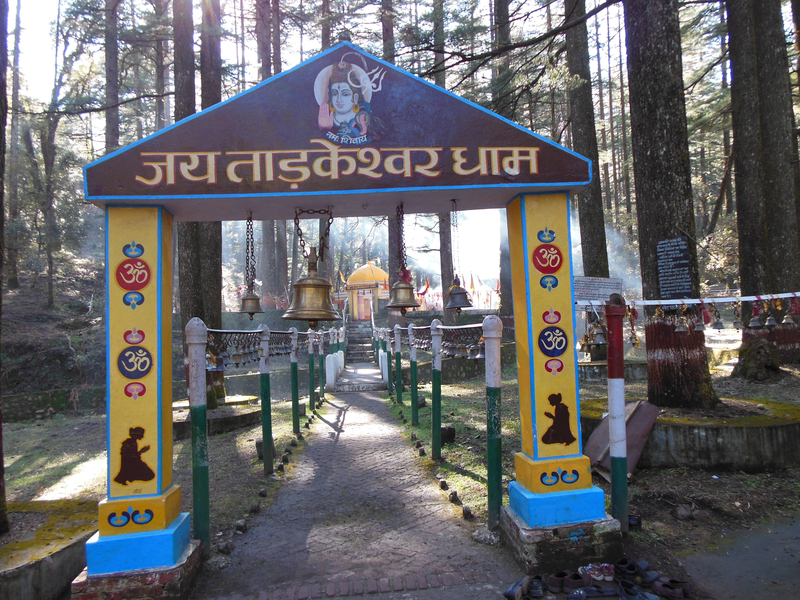 Two fairs are held on every year when special prayers are done in Tarakeshwar. The first one is on Shivaratri and in second one in June. The local people bring their harvested crop to Tarakeshwar and offer it in the temple before they consume them. Local people celebrating at dharamshala. There is another room in which the bells offered to Tarakeshwar Mahadev are kept. A few years back the Temple Committee constructed a walk way to the temple in which the bells have been hung. Devotees going to the temple ring these bells the chime of which adds to the pious environment. The soldiers of the Garhwal Rifles after returning from any war operations to their cantonment in Lansdowne come in a convoy to Tarakeshwar and perform ‘puja’ here. They also offer a big bell which is normally hung at the gate of the Temple. Presently, the bell which they offered after returning from the Kargill war is hung at the gate. It is pertinent to mention here that Tarakeshwar is the ruling deity of the Garhwal Rifles. Bell offered by Garhwal Rifles is hung at the gate. Langurs, jackals, monkeys, parakeets, mountain deers, snakes and a variety of birds can be seen in Tarakeshwar. Leopard and bear are rare but can be seen at the end of the rainy season. It is advisable to get away whenever you see a bear because it has a tendency to attack humans. Wild boars can also be seen here and it is advisable to avoid them as they have a very unpredictable behaviour. Other animals normally do not attack human beings unless instigated. Another speciality in Tarakeshwar is a bird which normally every night makes a chanting sound which it keeps on repeating for a very long time. The priest and workers of the meditation centre can tell you about this bird. Must watch following video for Tarkeshwar Mahadev Mandir. The sunrise from the top of the cliff above the meditation centre is worth experiencing. Kindly be at the top atleast 10 minutes before the first light can be seen on the horizon. On a lucky day a span of 800 km. 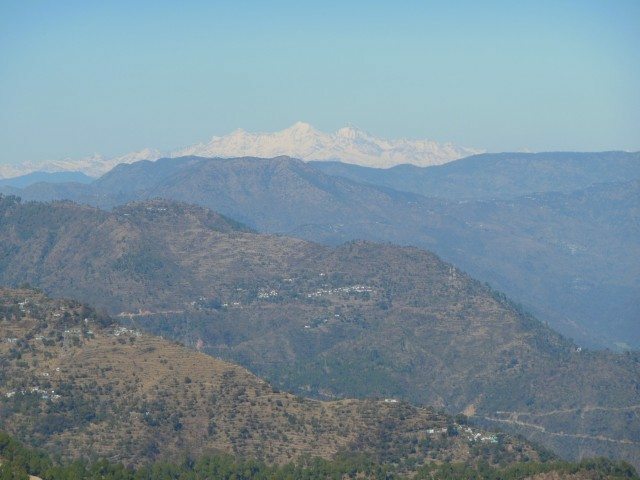 of snow covered Himalayan mountain ranges can be seen at a distance. 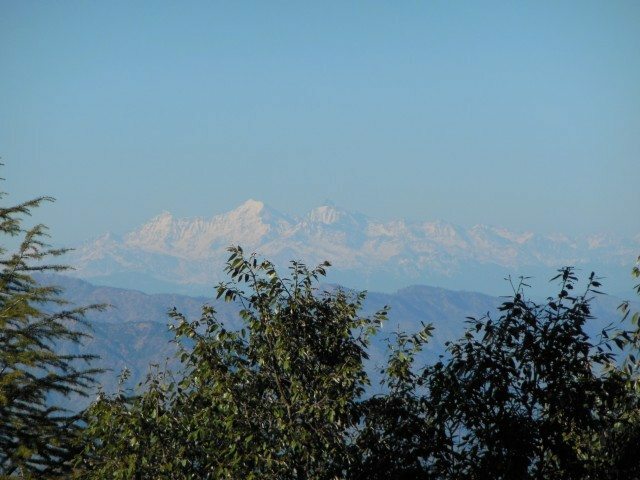 Someone told me that the Yamunotri peaks, the Gangotri peaks, the Chaukamba, Nandadevi and Trishul can be seen from the top. Snowcapped peak view from Tarkeshwar Mahadev Temple. 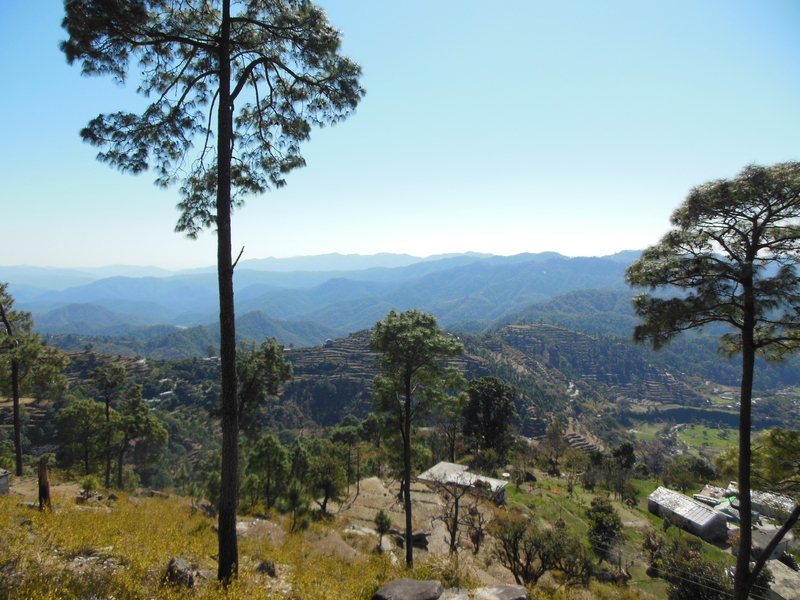 For tourists who want hotel type facilities it is recommended that they stay in hotels and resorts in Lansdowne about 40 km. away from where they can make a day trips to Tarakeshwar. In Lansdowne there are Fairydale Hotel, GMVN Hotel, Blue Pine Resort and some more hotels where advance booking can be made. We left the place to get back home on time. It took us lesser time in coming towards plane, as it was almost decline slopes. We switched off our bikes and enjoyed the roller coaster rides. Bikes were off and in neutral gear, still we were tring our best to control speed around 45 km/h by applying brakes. It was fun. After having a few halts on our way for clicking snaps, we reached Kotdwar at 7 PM. We enjoyed our day so much that none of us felt hunger. We were out of food for whole day. At Najibabad we had our dinner and made a vow to come back in hills very soon. A great post. It is amazing to see deodar trees so close to the plains. Good information about staying arrangements there. I want to travel like you, lonely and unplanned. gr8 post Vinay… the photos of snow clad mountains is mind blowing. 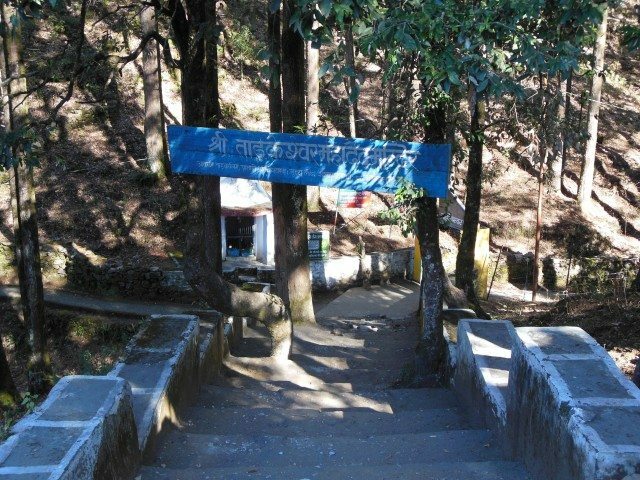 I read your post on Tarkeshwar Mahadev, which inspired me to visit here. Place is really very beautiful. A nice informative, detailed post, supported by some excellent photographs. The song from ‘Parichay’ is one of my favourite…Tx. 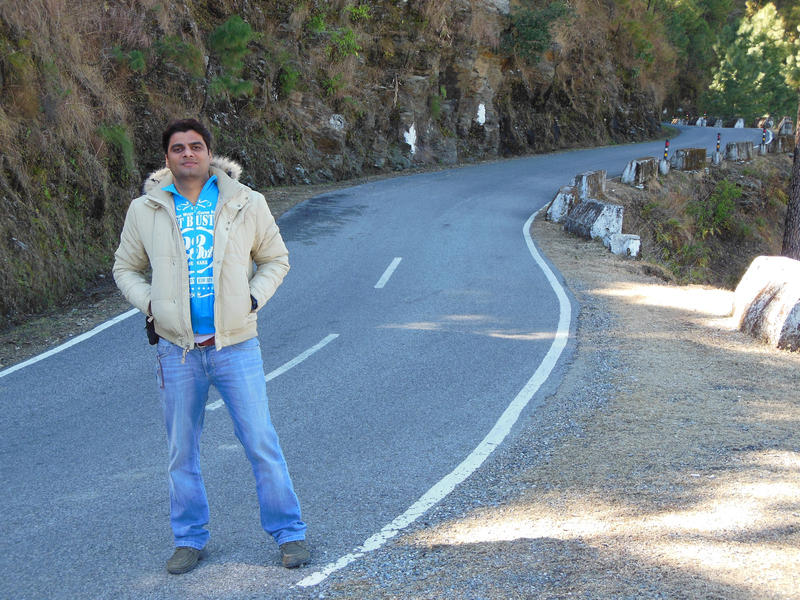 It seems that road is quite good, so whenever we go to Lansdowne, we will surely visit this place and Temple. 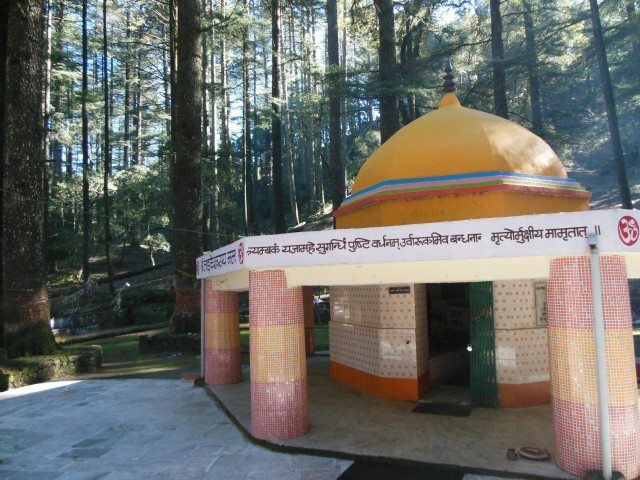 Near my home in West Bengal, there is a Lord Shiva Temple and town named as ‘Tarakeshwar’ – it is one of the most acclaimed religious destinations in West Bengal. 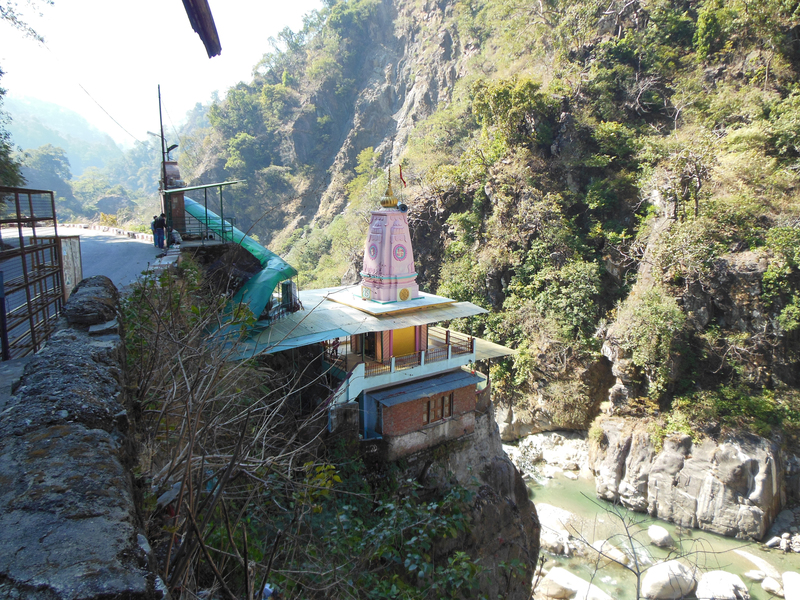 The prime attraction is the Lord Shiva temple, known as Tarakeshwar temple. This temple town hosts millions of pilgrims from all through India and also from foreign countries. Great post giving a lot of details for the visitors and supported by lots of good pics. Thanks for sharing. enjoyed the flight. The post is very informative with nice pics, which will certainly help ghumakars. The videos are now embedded right in the post for better reading. Loved the details and the pics (the peaks, the greens, lovely). Please avoid switching off the engine, never ever do it for new cars where the brakes are usually electronically controlled. In general the golden rule is to be in same gear while going down which you would use if you have to climb the same patch. Please respond to comments as your time permits. Wishes. Your post is really very useful for natural lovers. one information I would like to rectify is that Tarkeshwar is situated in Malla Badalpur not in Bichla Badalpur as your mentioned. This mistake has been normally occur due to repeatedly instance of Tarkeshwar in Bichla Badalpur in Internet based on article of Mr. J.P. Dabral of Himalyan Chipko Foundation in which he wrongly mentioned Bichla Badalpur instead of Malla Badalpur.